A World in Motion is a program created by FSAE to help formula team members contribute to their communities through education. 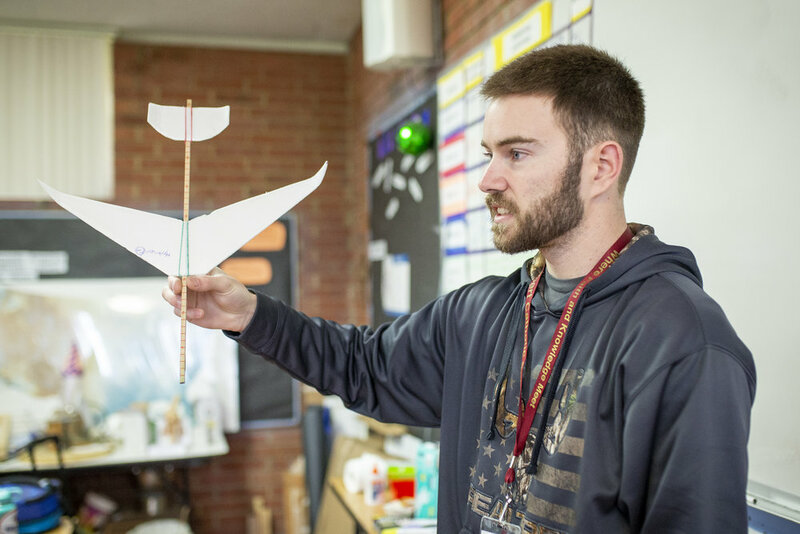 Team members teach engineering principals and documentation using model airplane design and construction with elementary and middle school students to promote interest in STEM activities and careers. The team has a relationship with Weather Tech Raceway at Laguna Seca as part of a sponsorship program. Team members volunteer on race weekends and can enjoy being up close and personal with some of the world’s best race cars and teams. Weekends include camping and food vouchers for lunch while working.